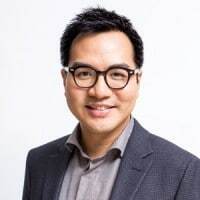 David Yeung is the co-founder and CEO of Green Monday, a social venture founded in Hong Kong that takes on climate change and global food insecurity through public advocacy, impact investing, corporate consulting, and specialized retail. Under Green Monday, David launched Green Common, the world’s first plant-based green living emporium. Green Monday is named by Fast Company as “Top 50 Most Innovative Companies in China,” while David is named by Fast Company as “100 Most Creative People in China,” “PE 100 Asia” by Purpose Economy, “17 Rising Social Entrepreneurs” by Conscious Company Magazine, and received Hong Kong’s “Ten Outstanding Young Persons 2015” award. David is the Director of Search Inside Yourself Leadership Institute, Hong Kong AIDS Foundation, and Hong Kong Buddhist Association. He also authored a number of best sellers on applied Buddhism and Zen philosophy. Caryn Hartglass: Hello everybody! Hey everybody! I’m Caryn Hartglass and it’s time for another episode of It’s All About Food. Boy, when we get through this hour you are really going to believe me if you never did before that it truly is all about food. We are going to be connecting more dots than I ever imagined connecting, and you know I love connecting dots, right? I am here in the Progressive Radio Network Studio live with David Yeung who is here from Hong Kong. He is the co-founder and CEO of Green Monday; a social venture founded in Hong Kong that takes on climate change and global food insecurity through public advocacy, impact investing, corporate consulting, and specialized retail. Under Green Monday, David launched Green Common, the world’s first plant based green living emporium. Green Monday is named by Fast Company as “Top 50 Most Innovative Companies in China.” While David is named by Fast Company and “100 Most Creative People in China,” “PE 100 Asia” by Purpose Economy, “17 Rising Social Entrepreneurs” by Conscious Company Magazine, and received Hong Kong’s “10 Outstanding Young Person’s” 2015 Award. David is the Director of Search Inside Yourself Leadership Institute, Hong Kong AIDS Foundation and Hong Kong Buddhist Association. He also authored a number of best sellers on applied Buddhism and Zen philosophy. I have to take a big breath here because this is just one fully loaded resume. I can’t believe I’m sitting in front of this guy. David, thank you for joining me today. David Yeung: Well I should have given a shortened version of that. Caryn Hartglass: No, no, no, this is amazing. I want everyone, if they don’t know about you already, to know about what you are doing and what is possible. David Yeung: Well pleasure to be here and great to be sharing the story of Green Monday with everyone. Caryn Hartglass: OK so let’s get started. I’m sure you have your elevator speech or whatever. Let’s just get the brief, condensed mission and description and we’ll go from there. David Yeung: Well I started my days as vegetarian 16 years ago. Actually in New York. I live over 11 years in the City. I moved back to Asia in 2003-2004. That was when I, on one hand, realized the concept and the awareness of plant based eating is just completely missing. Choices are very limited. Fast forward to 5 years ago. I’ve been in business for a long time and also very involved in charity as you mentioned some of the foundations and charities that I sit on the board or actively participate. I just say, “Hey, can there be a combination of doing good and doing well at the same time?” Build a venture, a social driven venture that can take on many of these global issues. Which amazingly there is one common intersecting point and that is food. A lot of people do not realize that their choice of diet every single day for every single meal has a huge consequence on the environment around us and also the future of humanity. That’s how I came up with the idea of Green Monday. With multiple arms. The idea is not to convert people to become vegan necessarily, but to shift them to a more plant-centric diet. Caryn Hartglass: OK, well I love that. What is Green Monday? I’m reading about it and my head is kind of exploding because Green Monday is so many different things all at once. David Yeung: Yes. There’s one report or one coverage of us says that Green Monday is “many ventures but one mission.” When we started Green Monday, we said we need to tackle, this is such a gigantic problem right? We’re talking about climate change, we’re talking about animal issues, we’re talking about health of many people and just education alone can’t get the job done. If we create the most amazing campaign that everyone knows about and advocates plant based eating, that’s great! But the next thing is, after people know why they need to change then they need to know how and with what. The reason why we create such a holistic and comprehensive social venture model which eventually Fast Company called us one of the 50 Innovative Companies, is because we just say, “In order to get the job done we need to do all of those combined. Just having one side of the coin or one element is not enough.” That’s why we came up with this really aggressive plan, blueprint in the beginning. Which many people thought we were crazy. But 5 years later now in 2017, we are very fortunate and very happy to say that this holistic model is coming into fruition. Caryn Hartglass: I’ve been raging quite a bit about Capitalism because the mission behind Capitalism is to profit at any cost. There really is no social component to Capitalism. So, what happens is we have exploitation on every level. We have exploitation of people, exploitation of non-human animals, exploitation of the environment. What else is there? David Yeung: Well many more. Caryn Hartglass: Exploitation, exploitation! We need this social component. When you talk about your business model doing good and doing well at the same time, some how I would love to see this just folded into all of Capitalism. Maybe there’s another name for it. Ultimately maybe it’s Green Monday-ism. David Yeung: I’m glad you bring that up because what my ultimate dream of Green Monday is more than just disrupting the way people think about food or think about sustainability. It really is about disrupting people’s way of thinking about Capitalism because at the end there’s one major driving force of the world and it’s not just from government it’s not just from people. Actually it’s simply supply and demand, which is what the economy is about. A lot of the things that we’re doing, that we’re eating, that we’re purchasing is just…If you look back 10 years ago, or 20, 30 years ago, those so-called habits were not there. They were all created by this Capitalistic world. Can we strike a balance of on one hand, people say we’ve got to maximize revenue and maximize profit. But at the expense of many things that you mention that we exploit. Or, striking a balance, which from a consumer standpoint, these types of new companies, these types of new products are what we go for. We are talking about a much more long-term holistic return both for the consumers and for these companies. In one way Green Monday, other than creating a new paradigm of food and 08:00 is really about rethinking business. Caryn Hartglass: Absolutely. Rethinking business. I remember when I was in college a long time ago. I studied Chemical Engineering and we always had to return on investments for whatever program we were designing on paper, it wasn’t realistic. But we had to include the whole economic balance. But, it wasn’t a real economic balance. The return on investment for any product I think is fantasy in a lot of places because they don’t consider so many pieces that need to be re-thought. So things that appear to be profitable are profitable for few in the short term but not for overall society in the long term. David Yeung: Well, I mean food is one very good example. Many of these companies that have dominated the food market not just in the US but globally. These are gigantic companies and hugely profitable. They have probably been making a lot of profit at the expense of a lot of other things. Meats just happen to be a subject that a lot of people overlook. We take it for granted that as people get more affluent they say, “I can afford it, I’ll buy it, I’ll eat it.” But what they don’t realize is all the social cost that comes along. Sometimes we call it an external cost. You don’t put it in the balance sheet or income statement of that particular company but it’s just there by the whole world and also future generations. So, the reason why we say, “Hey, we have the advocacy on Green Monday,” which is to suggest everyone to at least go plant based one day a week, similar to “Meatless Monday.” Then we have Green Common, then we have Green Monday ventures. Green Common is the destination. Really want to give people the idea of what the future of food can be like, should experience. Now, we know, and I’m sure many of these people have been guests at this show, is there are a lot of extremely creative, innovative food entrepreneurs that are coming out with great new products that are plant based and obviously no harm to animals and less footprint and also less burdensome to the world in terms of resource consuming. We want to give them this new platform or new stage for these great new food products to showcase them. Showcase them and for people to try all these new ingredients. So, Green Common becomes that solution which is a combination of dining and shopping and learning too. We have classes at Green Common all the time. Then finally the venture side is we want to work with many of these entrepreneurs together to come up with solutions. The last piece of that is although I travel and my team travels very frequently to the US all the time, but we are based in Asia. Now, when it comes to feeding people, almost 2/3 of the world’s population live in Asia. China alone is 18-19% of global population. So, if we are serious about shifting the world’s diet and caring for the planet and humanity, our common future, then I just thought then someone and some people and organizations need to be in Asia. Now it turns out that we are one of the key pieces of that. Caryn Hartglass: Yes, well Asia is the big player and unfortunately what we are seeing and it needs to be thwarted, is as you mentioned earlier as people’s income increases they feel like they can afford meat. Why not? Let’s eat it. Diabetes is going up. Heart disease is going up in China and India. Caryn Hartglass: Obesity. We are sending the wrong information. We are educating them with the wrong information and we know it all and your first piece, the why. Educating. Having people learn about it is really hard. You have to get that information out. David Yeung: Well, the people have been told right, the last 20-30 years. A lot of this again, going back to Capitalism or even simply advertising and thinking, “Oh this type of fast food or this type of soda, this is the way people should eat.” So, China and along with many other Asian countries have very much adopt that. Now, unfortunately we know that is not the most wholesome diets that people can consumer. So, all the issues that we see for example, in the US. China is catching up, except they just have more than 4 times the population of the States. So, now the why. How we go in and bring up this issue. Now, with each country or even within each country, each demographic group, different people have concerns about different topics. Some are more environment driven. Some are more animal driven. Some are of course more health driven. In the case of China, if you’re going to come in with an animal welfare issue, I would have to say unfortunately that’s not going to be the key driver. You will have a very, very remote chance of convincing people to change. However, and this is ironic, but the one thing that really catch people’s attention now in China and many parts of Asia is food safety. People really know about some of the horrendous things they do in factory farming, not necessarily from a humane standpoint but in terms of all the unnatural and really bad things that are put in the whole foods 14:12 chain that ultimately are put on our plate and fed to people. So, obviously antibiotics, pesticides, hormones. Caryn Hartglass: Excrement. How much do you want in your food? David Yeung: Those types of scandals are happening every day, every week. They’re on the front page of newspapers. They’re being talked about at talk shows, on radios. So, from 3 year old to 85 year old, everyone knows food safety is an issue. The reality is the way we are eating right now; we simply can’t feed 7 billion people. Which is the reason why so many of these companies have been using many practices that really are not right. Those are getting exposed now. So in China, when it comes to why, food safety is one of the key subjects or entry points that we use to talk about why reducing meat consumption and eating green is such a necessity of paramount importance right now. Caryn Hartglass: There’s some new science that came out that I keep talking about because it explains a lot to me. I can’t say I’m excited about it but it explains the human mind and it explains that when we’re raised with a certain foundation, a certain belief, in many cases it’s really impossible to shake that belief. Over time, no matter what you put in front of the individual, they just make up reasons to believe what they were taught originally. That’s pretty scary. David Yeung: Well that’s kind of a bias to a status quo, right? People have been doing it and you kind of feel that peer pressure, that if everyone is doing it. Even if you know that may not be the best thing to do, you just kind of say, “Alright, I’ll just follow what everyone does.” One thing that in Asian culture that people eat a lot for example is shark fin. Shark fin soup is considered a really luxurious dish at banquet. Now, for a long time, this is at least a decade not two decades, people first of all know that we are killing something like 90% of sharks. Which is completely disrupting or destroying the whole ecosystem in the ocean. That’s one. And two, the way we catch these sharks are just absurdly inhumane. But, despite that to your point, a lot of the younger generation people already refuse to eat shark fin soup. But, lets say the older generation. They still think that when you’re doing a banquet, if you don’t have that dish in the middle then you are not treating your guests right. You’re kind of like being too humble not to have that. So counter change really takes time. So, part of what we do with Green Monday and of course still a long way to do. We don’t try to go in to bash or blame or shame people. Because that is not really the best way to change people’s behaviors. The way we think about branding Green Monday is we have to out brand, out market, out cool the existing trend out there. Or out trend them basically. So we have, we’re very lucky and fortunate; we have some of the most famous most influential celebrities and influences. They’re the equivalent to the Natalie Portman’s the Taylor Swift’s of Asia to speak on behalf of Green Monday. On one hand their reach is awesome. The other side, we are also using their cool factor. That is not just on pure celebrities, but also we work with a lot of companies. The Google’s or many of the cool, innovative companies that they are willing to step up and set the trend. Altogether, by working with so many different entities that are more considered innovative and forward thinking, it lends the coolness factor to Green Monday that people aspire to join this movement. You’re at the table; now instead of being the one that is left out the person who is not doing Green Monday is actually the one who is being left out. So, it took a while but once we hit that tipping point, particularly with the younger generation. They are the ones then to now of course now a day, with social media, to really get it viral. It hits a point when all of the sudden everyone is talking about it and hotels, restaurants, schools, companies start calling us and saying they want to be a partner and want to join the movement. David Yeung: And we say the way to do it is very simple. We don’t even ask you to eliminate meat on Monday. We say in what you serve to your employees, to your students, or even to your customers. On that particular day, make sure over half of what you serve is plant based. Then the next step is to go from one day to 5 or 7 days. No one needs to become a vegan but everyone can shift to more plant-centric. Caryn Hartglass: OK let’s talk about Hong Kong. Caryn Hartglass: My understanding is Hong Kong has the highest meat consumption per capita in the world. I mean I thought the Unites States was the top dog there, but no it’s Hong Kong. That’s amazing. David Yeung: That’s an infamous number one. That’s not a number one that I or we are proud of. Yes, you’re right. For the longest time, the US has been number one in that category. But since, I think it was 2008, I don’t know how that happened but Hong Kong leap frogged the US, on a per capita basis of course, as the number one meat consumption region. Now, there are many things, if you look at people on the street you don’t necessarily notice a lot of people who are too heavy. People in general seem to look healthy. But the problem with our diet is we people go to banquets, hot pot restaurants and buffets a lot. In a buffet or in a hot pot dinner, you just unconsciously keep eating, and eating and eating. Almost for 3 straight hours. Now, compare one or two slices of beef to a stick that people have in the US. Now of course that stick is much chunkier and much more substantial. But what we do is keep eating that endlessly for a few hours. Also, Hong Kong, this is part of the problem of being a relatively affluent city, is people also tend to waste a lot of food. Food waste is also a huge issue. When you want a lot of choices then you end up not being able to consume all of them so they go to the landfill. But that counts towards consumption. So, yes since 2008 I believe Hong Kong has become number one. We are really taking a major step. I guess one, this is kind of more of a background. When we started Green Monday 5 years ago, at that point only less than 5% of the city had any sort of vegetarian diet habits. Whether that is one day, two days, or seven days. Less than 5% of people in Hong Kong had any sort of that plant based diet habit. Now we are at 22% of the whole city. So that’s about 1.7 million people. I would say that at the most meat-centric, the most meat heavy city or region in the world, it seems like it is mission impossible. But not in a very long period of time we’ve created quite an impact in shifting the way people think about food. Caryn Hartglass: I was in Hong Kong in 1995. I haven’t been back since. It was an interesting time because it was just before the transition of government between Great Britain to China. I was a vegan then. I don’t have any really good memorable food experiences. I was on a business trip so I was with a lot of colleagues. Although I’ve always been very loud and outspoken about what I eat, we went to where they wanted to go and I just remember a lot of oily vegetables and wondering if that oil was vegetable oil or something else. David Yeung: Now oily, that’s a key word. Again, when I moved back to Hong Kong in 2003-2004, first of all the choices were lacking, so that’s number one. And two, the options that were available within that limited choice are particularly in many of the traditional Chinese vegan or vegetarian restaurants. The chefs kind of think that the meat were not there so they need to find a way to overcompensate for the lack of flavor. Caryn Hartglass: The seemingly lack of flavor. David Yeung: Seemingly, seemingly, yes. What they end up doing is they add a lot of MSG to it. With oil then just go excessive. I was looking at many of these dishes and I said to myself, “Wait a minute. Even thought the meats is not on the plate, this is not the wholesome, this is not the right way to eat plant based.” Actually many of the food is also highly processed. So, that has been sitting in the back of my mind for a long time. Of course, gradually there may be a good vegetarian or vegan restaurant open every couple of years. But to me, the pace of that was just too slow. Now, fast-forward again to 5-7 years ago in the US. This transition or this movement start to really take hold and you start to see particularly in cities like New York and Los Angeles and the Bay Area, there are a lot of very nice cuisines and great vegan chefs. The food of course focused a lot on whole foods, full range of colors, just very original nutrition from food. Which is a much better way to eat for everyone, not just for vegans. I think now is not just a food revolution that we’re creating, but we are also basically starting a culinary revolution which is really creating the atmosphere so that the chefs re-think the way they cook food as well. Not just purely plant based but food in general. I would say if you come to Hong Kong right now the quality has dramatically increased. Not just over the last two decades but over the last two years. The options have become significantly better. Caryn Hartglass: Yes, I’ve seen a lot of photographs. I’m sure it’s changed. I know that even 10 years ago I don’t know if Green Monday could have had as much impact 10-15 years ago because there’s this momentum and it’s happening faster in a shorter amount of time than was possible before. I remember, I was involved with a non-profit called Earth Save International back in the 80’s and 90’s. It was founded by John Robbins who wrote Diet for a New America. Not sure if you know his story. Caryn Hartglass: For those of you who don’t know, I’ve probably said it like a gazillion times, but he’s the son of Baskin and Robbins and he gave up the ice cream empire to pursue a better path. And he gave up dairy and was encouraging everyone to eat a plant-based diet. He wrote his groundbreaking bestseller in 1987 called Diet for a New America and there have been many other books that have continued on the theme of connecting health, environment, and the treatment of animals. And I worked- I was the executive director on the board of his organization for a number of years. And at one point, we were talking with people in Hong Kong about a Hong Kong affiliate, and this was probably around 2000, 1999. We talked about it and it ultimately didn’t go anywhere, but because the time wasn’t right. David Yeung: You’re right. I mean, definitely. We started Green Monday 10 years ago, or even 15. We probably would not be speaking about it right now. Timing is definitely important for multiple reasons. First of all, I think people won’t listen until things get really bad. David Yeung: This is a very sad part about human nature, is until you are so close to the bottom, you don’t reflect and rethink about things in general. Now, here with climate change for example, it’s so noticeable, right? In Hong Kong this past Christmas, it was 26 degrees Celsius, which is 80 degrees Fahrenheit, I think, or something like that… on Christmas. When I was a kid, we needed to wear a big jacket to go out on Christmas. So, you don’t need to tell, or educate people about that. Caryn Hartglass: It’s 90 degrees in New York today. It’s May. David Yeung: You’re right, exactly. So, walking here was only like a fifteen minute walk but I was completely sweating and it’s only mid May. So, it doesn’t take a genius to know that climate change is here. You don’t need to think about the polar bear in the North Pole. It is happening around us. So, I guess on one hand it’s because things have gotten so bad and so blatantly obvious, and the other part is that the global synchronization of this movement has happened. The wheels start to turn, and we ride off the momentum from each other. So, when something happens in New York, when something happens in Scandinavia, when something happens in Europe, or anywhere, then we can start saying hey look, they are doing this already, maybe we start to pay attention and think about what we do here in Asia. David Yeung: People may care more about the cha-ching. That’s what gets people’s attention immediately. So, I think those are all kind of the things that are happening within the last 5, 7, or maximum 10 years, that you start to say, hey, we are a little bit behind the curve so let’s catch up. Of course, because the reasoning behind all this is already so solid. So by the time people do their own research, they hear about Green Monday, and then they do their own research and read more about it, it becomes so obvious. So you’re absolutely right that the timing; in the case of me and my cofounders starting it, we have brainstormed a lot of ideas about social venture, and it just finally, five and a half years ago, the topic came to food- over lunch, not surprisingly. So I guess some part of this is also serendipity. Caryn Hartglass: Mhm. So let’s talk about Green Common. Can you give us a virtual tour? David Yeung: Well, Green Common is basically a paradise for vegans, and second is a paradise for just anyone who aspires to eat cleaner, healthier, and a more refreshing lifestyle. To us, for the longest time, as you mentioned, on one hand, finding vegetarian food or vegan food is not easy- that’s one, and the second part is shopping for ingredients to cook at home is even more difficult. Many of the mainstream supermarkets do not have any selection of vegan, whether they are condiments, whether they are cooking sauce; whatever that is, it’s just missing. My family used to have to go to this one shop. Well, if I put it in the context of New York City, for example, then I have to go to Queens to that particular shop just to buy that, then I have to go to Brooklyn to that particular shop to buy that, and then I have to go to Manhattan or China Town just to buy that particular ingredient. And I was thinking for a long time, could someone just group these things together? I’m sure I am not the only one who wants it. So, Green Common is to become that one stop destination. Now, we don’t put the word vegan at the sign or at the front to the shop. As the name “Green” suggests, it’s just a very refreshing experience. Now, for most of our stores, they are a combination of dining and shopping. The dining part is really important. Now, we use some of these new ingredients, for example, Beyond Meats. We bring Beyond Meat’s Beyond Burger to Hong Kong. Hong Kong is the first city to launch these products after the U.S. Now, if you just put them on the shelf, or in the freezer, people don’t know what they taste like, they have no idea what is so special about this future-of-protein brand. That’s why the restaurant is so important. We start to use these ingredients and create Asian versions, or Asian adaptations of dishes that people are familiar with. For example, there’s a dish in all Asia that people know; it’s Hunan chicken. It’s kind of like a Southeast Asia style of preparing chicken, so we use the Beyond Meat chicken and hand-shred it, and create this vegan version of Hunan chicken. There’s another dish called Taiwanese braised pork rice, which is a [7:30] dish. We use the vegan crumble to make that and people say oh, this is so tasty. The sauce is the type of sauce that they are familiar with and after they try it they say okay, maybe I want to try and take this home and cook at home, too. So, Green Common creates that one stop, not just shopping and dining, but also experience. I always like to compare it to kind of like an Apple store. We like to call it the Apple store with real apples. So, the look and feel is actually quite like an Apple store. Now of course, you don’t just buy products of Apple from the store, but it’s a holistic, full experience. We bring these products in not just to sell at Green Common but we also distribute them to existing food channels and existing food providers and restaurants. So, having Green Common as the showcase and penetrate through the whole city through this distribution. So, that is the business of Green Common and it’s just growing rapidly right now, especially with the most recent launch of the burger. People just have a whole different idea of how far plant-based food has come. David Yeung: A long time. Caryn Hartglass: -A long time, and they’re fantastic. David Yeung: Some of them are quite good. Some of them are quite oily, depending on brand. Caryn Hartglass: Yeah, it depends on the chef and how they are prepared. But some of them are amazing, and they’ve been around for so long, and yet we’ve kind of had to go around the long way to have these Silicon Valley entrepreneurs come up with their own version. David Yeung: Yes, so some people when we bring up these new brands and these new inventions, are just like wait a minute, meat analogue has been around forever, and they are- they exist in many of the vegetarian cuisines right now. So, what’s so special about it? I think there are multiple elements. First of all, branding is important. Storytelling is important. Highlighting the scientific facts, for example, how much protein is in the product per serving basis, no hormones, non-GMO- labeling, basically. These brands may exist in Asia, but in terms of the storytelling and the narrative, it’s still kind of a little bit outdated. So yes, if you taste the product they are not bad- some of them are not bad- but in terms of the holistic packaging and storytelling, it’s just not as up to date. Caryn Hartglass: So they’re not good marketers. David Yeung: Well, part of Silicon Valley is of course, the amazing innovation, but on the other hand is great storytelling. David Yeung: You know, you really highlight what are the problems you are solving and why the products or inventions are the solution to that. And sometimes with that people have a manufacturing background, or more of a humble just food processing company background. They look at it more from a nuts and bolts standpoint. They don’t tell the story as appealing or as captivating as these newer age entrepreneurs. So, now of course I should not discount the fact that these new companies do have innovations as well, particularly how to use many of the technologies of food tech to come up with new ways to present this meat analog. So yes, of course there are inventions there as well. We should not discount that, but part of the story of why many of these Asian meat analogue companies are simply perceived as more old fashioned or purely, for example, for the Buddhist community was because of their marketing and the storytelling were kind of missing. So, very much cater to just a niche group of consumers. Caryn Hartglass: Now let’s talk about the investment side. So, are you investing, or people are investing in you, or a bit of everything? David Yeung: A bit of everything, actually. Our day is kind of interesting. In one meeting, we can be talking to entrepreneurs and we are funding their companies and investing in them, but on the other hand, we are talking to investors to invest in our funds or in Green Common. Now, why we have the venture fund, or the impact venture fund, is because ultimately, we alone cannot- well, no one alone can create all the solutions of this whole ecosystem. So, by investing in these companies, we obviously create a stronger tie to them, and let them know that there is also a huge market for Asia that they should not overlook or forget, and we very much want to accelerate their growth into that part of the world, which for many American companies, particularly startups, is just completely like outer space to them. It really is a foreign space and also, within Asia, in all the different countries, all the rules and regulations and consumer habits are different. So, having Green ventures to work with these companies from an early stage, we can kind of on one hand influence the mindset of growing into that region, and also give them some input on what Asian consumers may expect. So, all of that kind of contributes to them saying okay. We start to build that into their pipeline, or production. Then one day when they are ready, we can expedite to bring these products- the whole process- to bring these products and inventions to that part of the world. Now, in terms of the fund, of course, we do bring investors into the fund. Now, I do believe that is also a great way to engage many of the wealthy families or corporations. For them, to use this as a way to think about the future of food, because if they just read it on newspaper, if they just see it in an article, they may say okay, I will participate on a personal basis, but after all, they also have a lot of resources. Clearly, financial resources, but also many, many other ones. Maybe they are a real estate developer; they can consider bringing Green Common into their shopping mall. If they are a food or supply chain company, they can think about doing that as well. If they are a hotel, of course, they can incorporate more Green dining with their food service. So, the idea is that if we can use this investment vehicle as a way to engage these families, corporations, and individuals, that is also a way to spread the movement. We should not look at spreading the movement purely as the three meals a day, but also what these people can contribute to make this movement grow faster. Caryn Hartglass: To make it grow faster, everything has to happen at the same time. David Yeung: Exactly, and we need to get- you know, it’s kind of like, for example, making a movie. You need not just the best actor or the best actress, you need many, many talents, and actually most of them are behind the scenes. Caryn Hartglass: The government, okay? I think the government tends to be the slowest moving piece in the equation, if it is even in the equation anymore. You know, they make policy and they decide what’s the most nutritious foods and what we should be eating, and they also make rules for at least in the United States, about what schools should have, but they are so slow in getting up to speed with the science, even when it is right in front of them. The lobbyists come up and vote it down. Is the government playing a piece in your projects? David Yeung: Well, we have multiple government officials, very senior ones, who definitely support Green Monday, both individually and also to lead efforts and initiatives within the government. Both within the realm of the government and to potentially do some- not policy, but guidelines to the public. So, one of the guidelines that has helped us a lot is the school dietary guideline, to introduce more plant-based food and reduce meat, suggesting that Green Monday is a good platform to join. So, yes, we do leverage some of government resources, but in the grand scheme of things, that is still very small. You’re right. In general, governments tend to be much slower in- and if you wait for them, you know I think there is always this misperception that oh, if this is something about climate and the world and sustainability, we should wait for government to set policy. If we have that kind of mindset, we are doomed; we are really doomed, because then at the end, no one is taking action. I really do believe that, I am a deep believer that grassroots movements and capitalism, actually, are the biggest force for change and we cannot discount the force of supply and demand in the economy. That’s why when we looked at the evolution of Green Monday, yes we do engage the government, but that has never been a big part of our puzzle. Caryn Hartglass: I just had this random thought about the Hong Kong people, and maybe this plays in their favor or not. I’m curious. The fact that they had this huge transitional government, from Great Britain to China, I wonder what the identity of the Hong Kong individual is and how maybe changing their food choices might work in this metamorphosis of their identity. Caryn Hartglass: Celebrating is an interesting word. David Yeung: Actually, yes, I don’t think most people would even question the choice of that word. But, 20 years since the handover. There is certainly some identity crisis to many Hong Kong people, and it is taking a lot of adjustment, or some adjustment, that simply for some people, may never be able to make. It is difficult. The regime is so different, the way of two different types of governments and parties are just so significantly different. That’s why with, not just young people but with the society in general, but particularly with young people, the social unrest, the stress among different types of stakeholders, are just happening everywhere. The city is in many ways, is quite torn apart. Caryn Hartglass: Blue and yellow make green! David Yeung: I joked that, exactly! You know, there’s the blue camp and there’s the yellow camp, and we are the green camp, and you know which is the combination of blue and yellow. So, we say hey, whatever political stance you are, whatever interest groups you represent, at the end, we share the same planet and food is a common bond for anyone of any culture. So, I don’t think anyone would say I just love to eat junk food. I just want the planet to die. I don’t think people would say that, and that is something I really do think we share in common. So, I think Green Monday has been, besides the impact that we create directly, in the more macro environment, it even makes us stand out as a unifying force. Let’s put aside our differences for a moment. Can we make an inclusive platform? David Yeung: Work towards the same goals. So, in that sense, this is not a subject that is brought up in most of the interviews. Very few people have asked me that question, but I’m fortunate to say that Green Monday has, creates some type of a platform that can unite some people, which in the last few years has definitely been difficult. Caryn Hartglass: I think that’s important. In a lot of movements, this inclusivity and finding themes that everybody can align with. I know I want everyone to be vegan. I got into this because I don’t believe in killing animals, period. And then, wow, I learn that it’s the best thing for my health, and it’s great for environment, so it was like win-win-win. Fantastic. But, to move forward takes so long. For people to learn new things and accept new things, our brain is just wired that way- okay, fine. So, let’s work with the Paleo people and we will all be against refined foods. That’s great. And let’s work together about being a little wary of genetically modified foods, and big Ag, and wanting more organic; we can all work together for that. David Yeung: Yes, and it does, it requires that type of teamwork to make it happen. Just one single group or one single advocacy or company cannot get it done. So, it is quite a miracle that it is happening. I think at this point, we have reached a certain tipping point, that instead of us reaching out to companies or reaching out to the giants in the various industries, it is now them coming to us. Now, of course, when that happens things clearly move much faster. We are- although we have achieved something in the last five years, really in the big picture, this is still just the beginning. We are talking about moving hundreds of millions, if not billions, of people. So, I think for many people in the audience, I think through this particular sharing, you know that in Asia, for example, there is this organization called Green Monday that hopefully, however or whatever type of role we can play to facilitate this change, that is what this platform is all about. Whether it is through our venture fund, whether it is through Green Common, or whether it is through the movement of Green Monday. Caryn Hartglass: I’m sure you’re familiar with this new book and website, Draw Down? I was watching an interview on Charlie Rose, which takes place on our public broadcasting system PBS station, and it was fun to listen to- I was familiar already with the book and the website, but he was being interviewed along with Gisele Bundchen, who is a supermodel married to the football player Tom Brady, and I know nothing about sports and football and who this guy is, but I know he’s huge. They were talking about being plant-based, which is phenomenal. You talked earlier about the importance of having celebrities that people follow and be like as part of your platform and supporting your platform, and they were doing this with just that, and I had such mixed feelings as I was listening to Gisele speak. She was saying things like, when you eat plant-based, you just don’t know how good you can feel. I feel so good. We have so much energy. It’s really wonderful, and I can’t see going back and Tom said it’s really improved his playing- and all this stuff is great, and I’m thinking I’ve been saying this for decades. To hear it come back, it’s just, you know, finally. In one way, I’m really thrilled, and in another way I’m exhausted. Caryn Hartglass: Mhm. You need meat to build muscle! David Yeung: -A super elite one. Now, for athletes or Olympians to come out and endorse a plant-based diet, I do think that adds a layer. Just like a scientist or doctor. Again, not just because they are famous, but because of their profession. I think that adds to it. So, in our case in Asia, we have multiple Olympians who are supporting Green Monday right now. And in that case, we’d use that, the performance, as the angle. The cleaner you eat of course, the faster you run or swim. You know, different people appeal to different channels, and that’s okay. Some people think that David Yeung or Caryn are the source of information, and that’s great, and some people prefer listening to an athlete, or for beauty purposes, a supermodel. Caryn Hartglass: Absolutely. The message needs to come from every color, size, shape, nationality, age, everything- religion. Everybody needs to be talking about it. So, we just have maybe three minutes left, and I want to talk a little bit, just a little bit, about Buddhism, and where does that fit in to the whole picture, because you’ve written a few books on Buddhism. David Yeung: Yes, how does it fit into the whole picture? There are two dimensions to that. One is on a personal level and one is on a more macro, or cultural level. On a personal level, I’m extremely blessed to be exposed to Buddhist philosophy since fifteen, twenty years ago. I just really like the concept of practicing compassion and mindfulness on a daily- not just daily, but every moment, really. I think that is how we bring peace to ourselves and that is how we bring joy. If you are more mindful of all the behavior that we do, chances are we will do things very differently than when we say or do things mindlessly, so that has helped me a lot. Now, obviously, with that mindfulness, you start to pay attention to every part of your life, eating being a big part of that. You don’t want to cause suffering to other sentient beings. You are aware that when they go through that process, they obviously have fear and they clearly have pain. So, that’s on a personal level. So, on a macro level, in Asia in particular, there is a huge Buddhist following. Many of the people who are vegetarian do come from a Buddhist background. There’s nothing wrong with that, but in Green Monday’s case, we want to say that as much as vegetarianism used to be tied to religion, and there’s nothing wrong, that’s okay, we really want to make it accessible to everyone. It is- well, plant-based eating is religion-agnostic. You don’t need to be any particular religion or have religion at all to choose plant-based eating; it just happens that Buddhist teaching teach compassion and clearly, that involves not harming animals. So, that’s on a personal and macro dimensions. David Yeung: Thank you for having me. Caryn Hartglass: -on It’s All About Food. I’m Caryn Hartglass. You’ve been listening to It’s All About Food and you can find me at info@realmeals.org, send me your comments and questions, and visit my website, responsibleeatingandliving.com. And remember, have a delicious week! Transcribed by Adella Finnan 6/16/2017 and Sara Scanlon 7/3/2017.